Keeping my closets organized has been a constant struggle for me. We live in a house built in the 1950s, which means that my closets are minuscule. I also have a habit of collecting clothing. It’s my one big shopping issue. I do Stitch Fix and Trunk Club, and I am constantly perusing the sale racks at Target and Old Navy online. 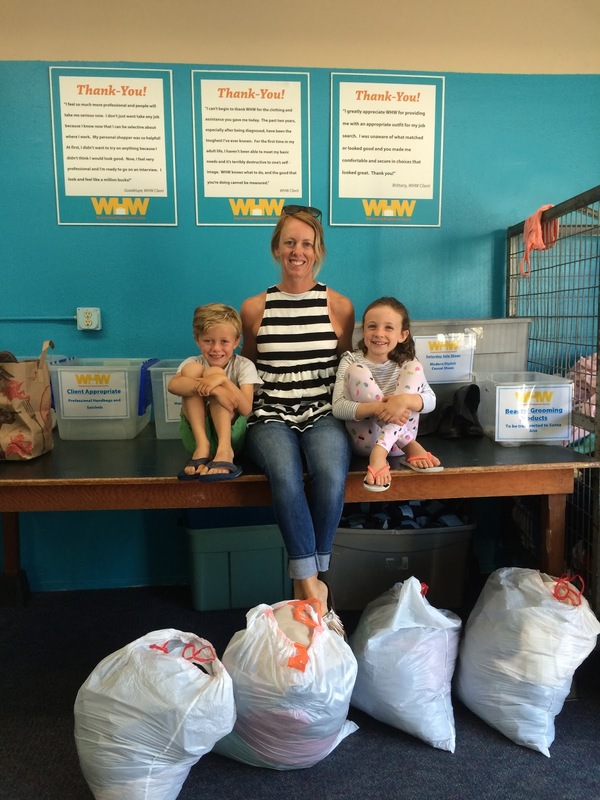 I bring in more clothing then I give away, and my closets are often bursting at the seams. This is a bit mortifying to admit, but I am also the person who has items in her closet with the price tags still on them. Sometimes I’m waiting for the right occasion to wear something. Other times, I am keeping something because I’m hoping it will be more flattering when I finally drop a couple pounds. And some items, I purchase things and then just can’t figure out how to style them. I heard about a local stylist who does closet revamps from a fellow Blogger. 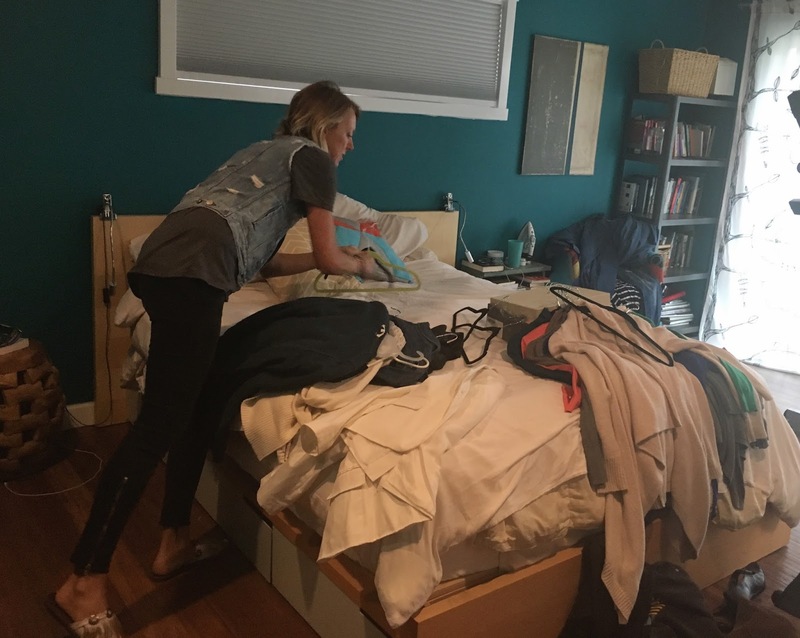 Jen (with jeans|and|a|T) is a fashion maven who helps women go through their wardrobes, get rid of things they don’t need, and to maximize the things that they already own. 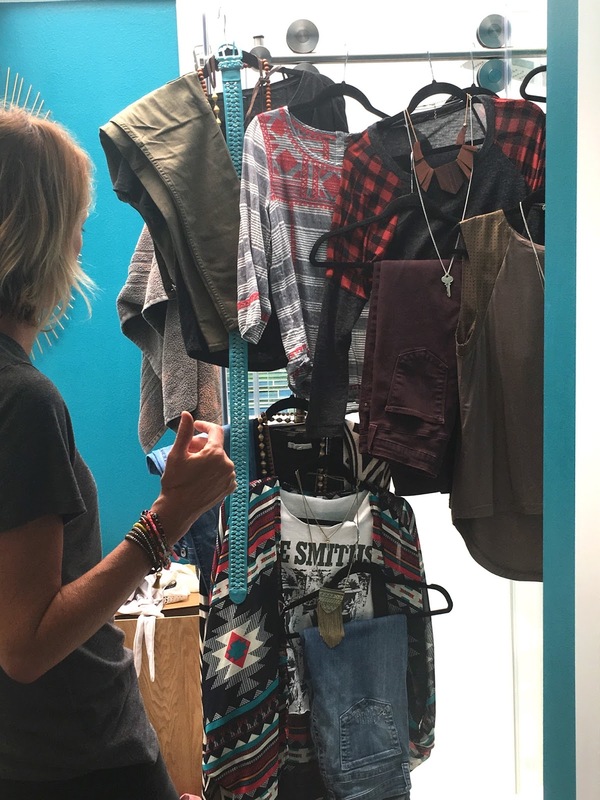 It’s part personal stylist, part closet organization. And when I heard about what she does, I knew I was the perfect candidate. I decided to have Jen come out and do the Fashion Fix package. I will admit, I was a little nervous about the appointment. In fact, I put it off several times. I was worried that we would have a power struggle. I was concerned that she would want me to give away more than I wanted to get rid of. I was worried that my hoarding tendencies would put me at odds with the process. And also, it just felt really overwhelming. Here is what surprise me about the process: it really required very little work for me. Jen work by herself in my closet. She started with the drawers. She went through every item, and placed things in sections… Things to give away, maybes, and things to keep. And surprisingly, there were very few things in the pile of giveaway items that I disagreed with. I’m talking, just a few things, which goes to show how much extra rainiest stuff I was storing. It wasn’t so much that I felt the need to keep things. I was just overwhelmed at the process of getting rid of them. I found that, as she identified my outdated and unworn clothing, I was perfectly happy parting with it. Jen pruned my closet and drawers for about an hour and a half, calling me in to give a final approval after each section. She helped me go through my gobs of workout clothing, she helped me get rid of about half of my dress collection, and she helped me pick the jeans I should keep and to ditch the ones that were outdated. In all, we probably got rid of more than half of the items in my closet. And I didn’t feel 1 ounce of regret over any of it. I felt lighter and freer. 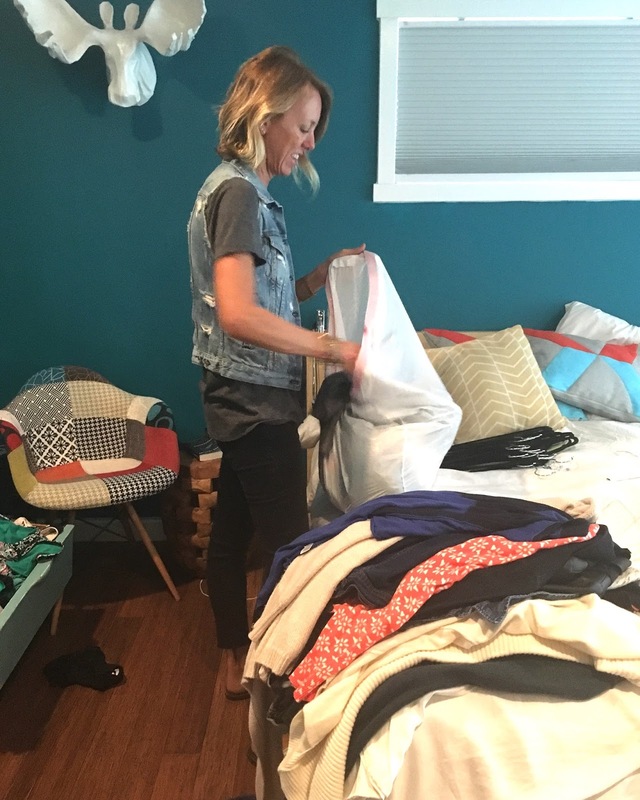 Another aspect of the service that felt great: Jen donated all of my clothing to Working Wardrobes, which helps at-risk women get the wardrobe and skills they need to find employment. This is another small bonus of the process, in that she also helped me put all of my remaining clothing on smaller velvet hangers, which made my closet looks so sparse and organized. There is so much more room to hang things now. This was one of the things that I have had on my to do list for over three years, and never got around to. I think the big gift of this whole process is just committing to doing it, and having someone tackle it with fresh eyes. I know that I never could have completed this process it by myself in 90 minutes. After all the organization was done, Jen went through my closet and selected several outfits and styled them for me. This was such an interesting process to watch, because she puts together things that I never would have assembled. She showed me fun ways to layer my necklaces, she helped me out with a few items that I like but couldn’t match, and she gave me several outfit ideas. I liked what she put together so much that I left it all hanging up, and just went through the outfits the following week. I got so many compliments! A close friend asked me if I had gone shopping, and it was so fun to explain that it was all just stuff from my own closet, paired with a professional stylist help.
. What is so interesting about the process is that I didn’t purchase a single thing, but I feel like I have a whole new wardrobe. I have less clothing and yet it feels like I have more options. If you live in the Orange County area, I cannot recommend Jen enough If you would like to try jeans|and|a|T, she is offering 25% off any service. to my readers. Shoot her an email and mention Rage Against the Minivan, and she will hook you up!